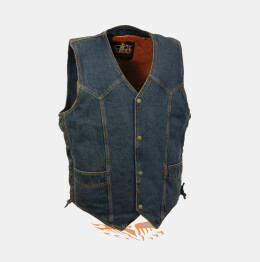 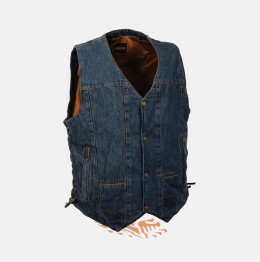 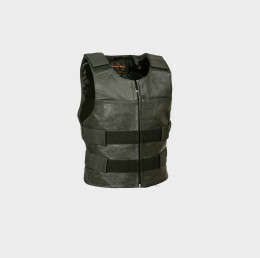 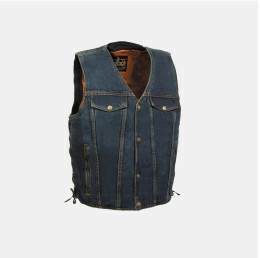 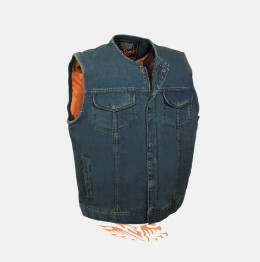 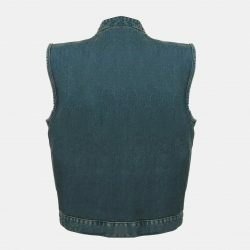 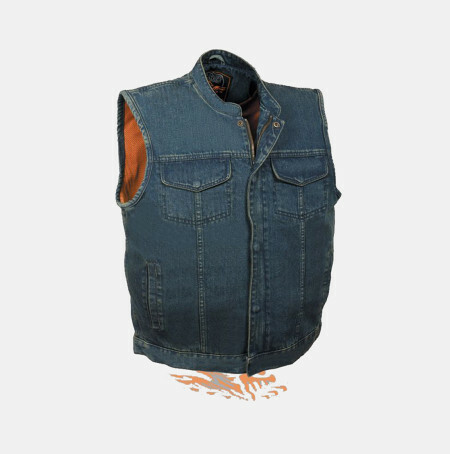 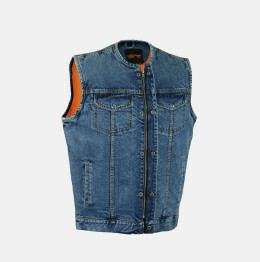 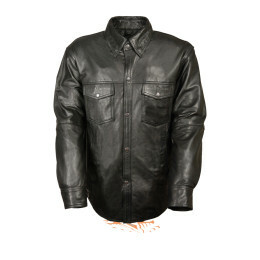 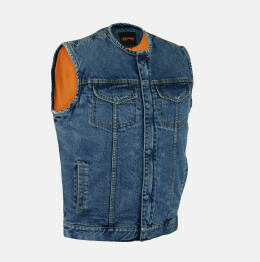 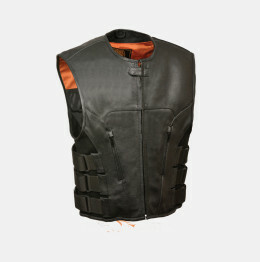 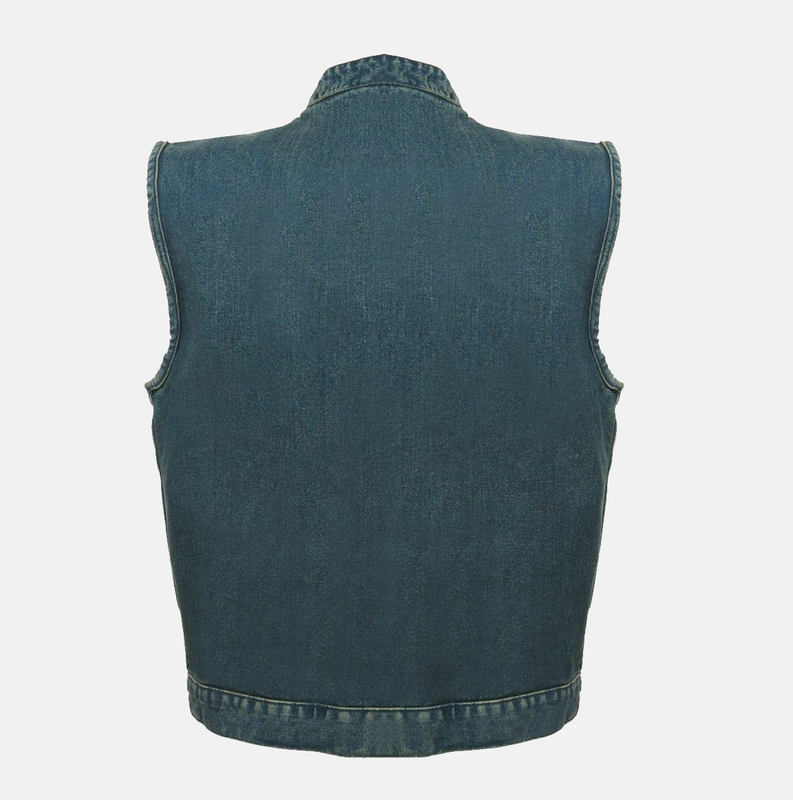 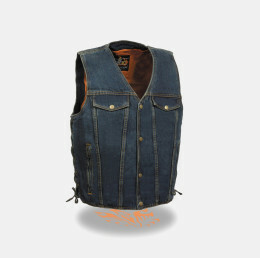 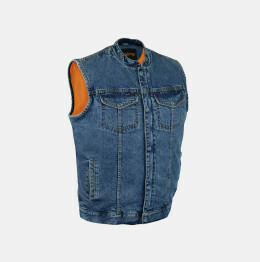 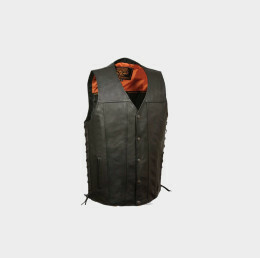 This vest is constructed of Denim material, this denim vest has a single panel back for easy addition of patches. 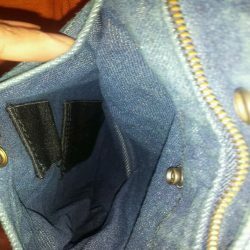 There is a gun pocket inside. 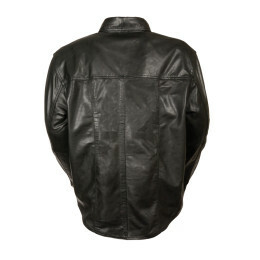 SNAP WITH ZIPPER. 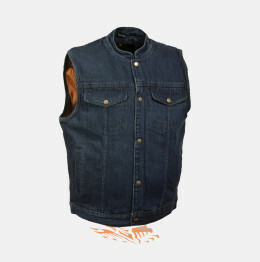 Sized by loose chest.